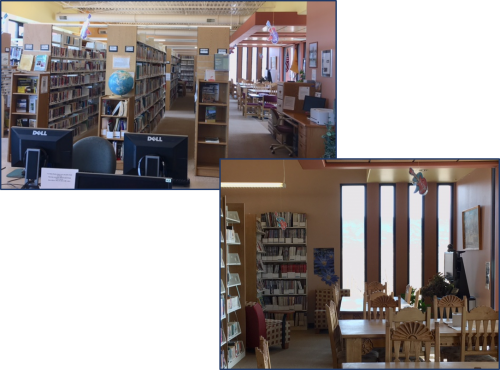 I visited Cuba Public Library last week and was taken in with a clear blue sky and scenic mountains. 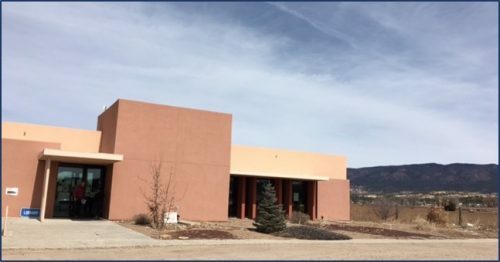 The library has been in this building for about 5 years, and library director Barbara Trujillo said she is hoping to start phase II of the library in the near future. This includes a community room, a teen area, and more storage space. 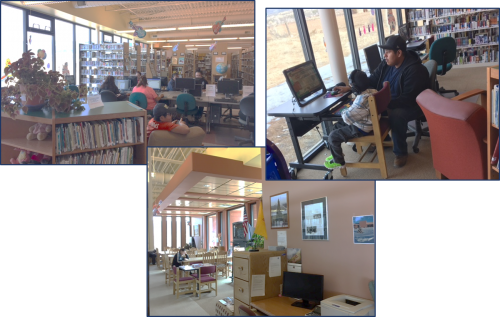 During my visit, many people were using the computers or taking advantage of the large tables. The 2 AWE stations also get a lot of use. 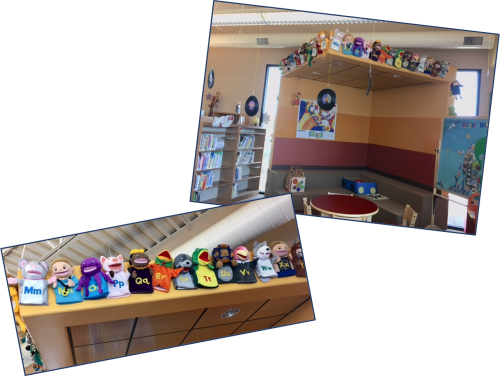 The children’s area is welcoming and the library will sometimes use fun alphabet puppets for story-time. The library is also getting a jump start on the “Libraries Rock” summer reading theme with the hanging records, etc. 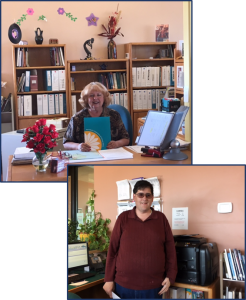 Barbara, along with her assistant Daniel, ensure that patron’s have access to a variety of resources. Thank you to Barbara for taking the time to meet with me and show me around the Cuba Public Library.